A lightweight conditioning milk to detangle and smooth the hair's surface without overburdening. 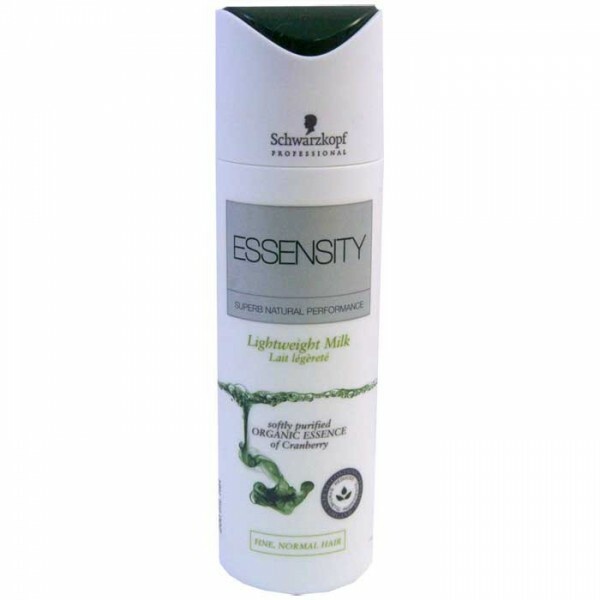 Schwarzkopf Essensity Lightweight Milk is a conditioning milk to detangle and smooth the hair's surface without overburdening. This smooth milk formula, enriched with essence of Organic Cranberry, Rosemary and Calcium, conditions hair and helps control flyaways. It also provides normal to fine hair with energy and strength. Leaves even fine hair feeling fortified and enthused with vitality.